Show your military ID at any All-American Self Storage location to receive a 10% discount off your monthly storage unit rent. We appreciate your service! 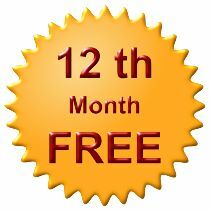 Pre-pay for 11 months of storage and receive your 12th month free! We are happy to reward your loyalty by covering the price of your storage unit for one month.